Forgiveness: Does It Really Work? FORGIVENESS, DOES IT REALLY WORK? Such a confusing and often misunderstood concept. The lack of it in our lives can make us feel cold and distant from each other and ourselves. When forgiveness is present, it can seem like grace and light and warmth. We will look at forgiveness in a somewhat new way in this article as a phenomenon, which can free the person who needs to do the forgiving as well as the person who is forgiven. Both are imprisoned. Our own personal “ways out of hell” are not easy, but they are the way of redemption. Our need for forgiveness — of ourselves as well as of others — in these deeply troubling times is a very serious and noble undertaking. It is part of a spiritual practice of the highest order. Whether it is on the order of the dramatic example from the Gandhi story, or it is part of a daily practice where we exercise forgiveness of seemingly small, everyday issues, the power of forgiveness to heal our lives is profound. This holiday season seems like an added incentive for such work. The first step in understanding our own personal relationship with forgiveness is to contemplate it’s meaning for us individually. The real key here is that the definition of the term needs to be considered. Most of the time, people have forgiveness very confused with forgetting and excusing behavior. Many people fear that if they forgive someone for hurting them, that person who is forgiven will think the incident is forgotten about or excused, minimized as unimportant. Feeling this way often insures that no forgiveness will take place. This holiday time of year often brings up awareness of the lack of forgiveness and this causes a good deal of pain, sorrow and loneliness. As you read this article, become aware of someone whom you need to forgive or from whom you need forgiveness (the person is probably already in your mind). 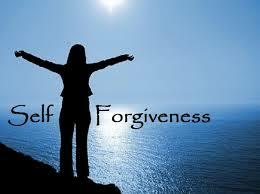 There is an exercise at the end of this article, which may help you in the forgiving process. When true forgiveness occurs, nothing need be forgotten or excused; one needs only to be willing to heal the relationship and no longer hang onto it. True forgiveness can be experienced as a miracle of acceptance and grace. If the task seems overwhelming and out of reach, here is where you ask for help — from others or from Spirit within. We’ve all heard amazing stories of forgiveness and redemption. One of my favorite ones is about a woman I met once whose son was murdered. She, of course, was absolutely devastated and filled with grief and hatred towards the man who killed her son. After much inner work and realization that the main person who was suffering from this lack of forgiveness was herself, she came to a place of forgiveness, which went far beyond the usual. She ended up working in prisons with both the victims’ families and the people who had murdered family members. She helped them all come to this place of forgiveness. There was not the forgetting or excusing, just the healing force of forgiveness which brought deep and soul-filled release for all people. One of the most amazing parts of the story was that she told me she felt so privileged to do this and that it brought continued enormous healing and grace into her life. For her, there would always be the missing of her son and sorrow of his loss, but the love she felt was multiplied a hundred times with the work she was able to do. Because it is so important to remember, let’s underscore what forgiveness is not. It is not forgetting what has happened, nor is it excusing the behavior or minimizing its effect. The timing of the readiness to forgive must also be honored. A person cannot forgive one moment before they are really ready to do so. Also, it is to remember that forgiving does NOT mean that you have to allow people into your life when it is not right action for closeness to follow. As an example, think about the many people who hold deep anger and grief over what happened to them in childhood, and fear that forgiving someone who abused them in childhood would be to minimize and/or condone what happened. 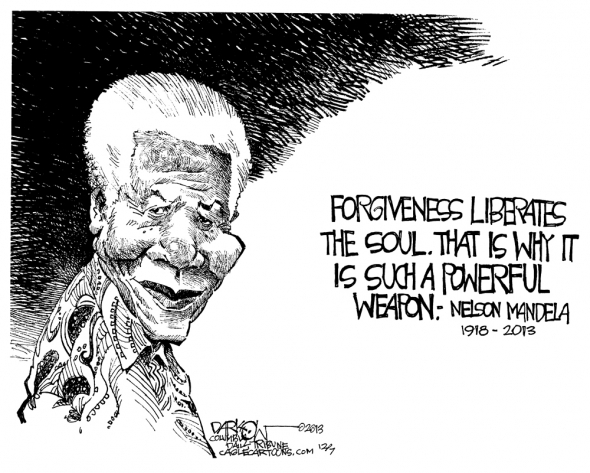 This is a very serious misunderstanding of the power of forgiveness. In such cases, it would mean no longer holding onto the blame or the grief of the abuse, but rather doing the deep inner work which can allow a person to forgive and release so that the past is no longer in control of his/her life. This can help people take back the emotional energy that is still trapped in their past and recapture the vitality that they need for their current life. Blame and anger take up so much of the emotional space we need to lead a healthy life. The work we do forgiving ourselves and others, I believe, is “world-work.” It contributes to peaceful, passionate and creative relationships. 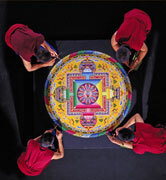 We can integrate the practice into our daily lives, forgiving many times throughout the day. Each time we do so, a little bit of the burden this world holds is lifted and redeemed. The flame of our awareness of non-separation from one another and from Spirit grows a little brighter. Try to picture the person in your mind’s eye just as you see them now — without forgiveness. 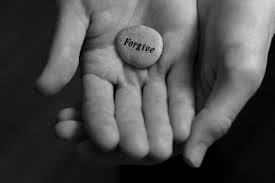 Ask yourself a few questions: What do I believe about forgiveness? What do I believe would change here if I forgave? What do I want from this person or myself before forgiveness can happen? 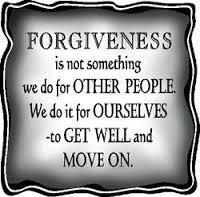 What would change in my life if I forgave (without it necessarily meaning you let the person “back into” your life)? Is there anything that needs to happen before forgiveness can be offered? Why am I holding onto not forgiving this person, really? Now just try for a few seconds to forgive (knowing that you can take it right back) and look at the person inside and see if there is any difference in your feelings. Just notice and learn. Take this practice really seriously and see what would or could be served in your life and in the world. Then, when you remember, forgive yourself many times a day for your own judgments and shortcomings, for we are all in such need. It is a way for each of us to offer healing to the world.